Molded urethane bar holders for quite, safe barbell placement. Dual bar holders for both short and tall users. Molded urethane bar holders for quite, safe barbell placement. Dual bar holders for both short and tall users. Adjustable leg stabilization for both short and tall users. Open frame design for effective and safe spotting. 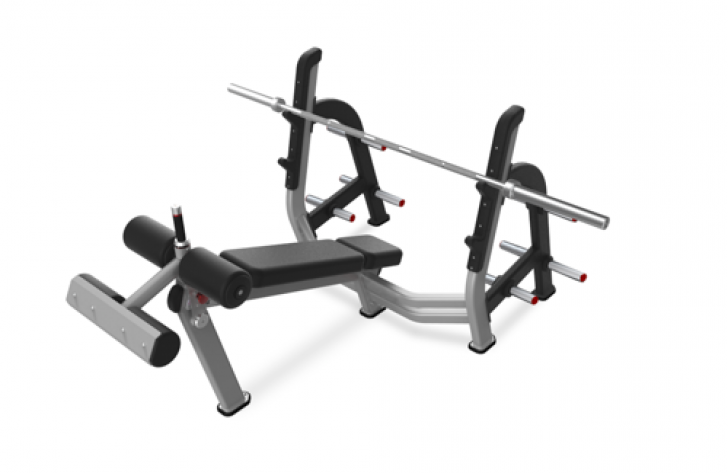 Optional Olympic plate storage add on, features six pegs per side to accommodate all weight plate configurations (Model 440-04071 sold separately). Rubber feet for floor protection.